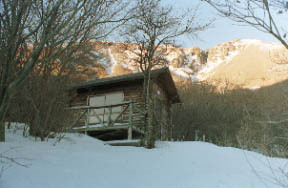 the hut of the Wonderland effect of the mountain where the surroundings were surrounded in the high moor "Bougatsuru" of enough basin environment by the high ground also similar to Oze in the garden at noted Mine of the Kujyu mountain range.A log house is also in the bungalow which can be used by a charter besides a wooden main building and a new building guest room building.Seemingly the guest room building of the single room was still new, heating also went into the passage, shoes were also put on the tray, were carried in, dryness was completed, bedclothes were beautiful, and the consideration to a mountaineer was an inn felt kind.Rather than the hut dish, it is delicious at the home-made dish of touch of the Heidi style, rice also has a Large, inside, and smallness, and it has also satisfied also in volume the warm dish which the young staff cooks.The mountain which can expect a Mt.Daisen-zan to the front from the bath of making a hinoki, and is dyed a Yuuyake was impressive. The first visit finds a hot spring mark on a December and a map, and whether it is a natural hot spring and whether it is an inn.It had no [ that it is not a winter closure etc. 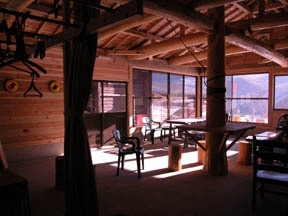 and ] information, but heard that there was seemingly the inn expectation and uneasiness and ran them from the Oike to the Mt.Daisen-zan mountaineer on the way toward the chest, energy was taken out, and it arrived at the hut built at the very back of a Bougatsuru at last for about 3 hours.When the talk was observed, it was the Spa accommodation of the Kyushu highest place there.Furthermore, energy was taken out, the summit of Mt. 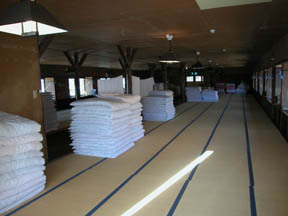 Kuju and an inside mountain was gained, and it reached to an extreme of a Kyushu only mountains hot spring. An every-year annual event, bitterness-of-life mountain climbing: It is draft beer all-you-can-drink the Kujyu mountain-range travels main at 9.10 days of Augusts, and night. Handmade home cooking of the Heidi style. Beef muscular stew, Chinese cabbage, pork simmered dishes, minestrone soup Caspian Sea yogurt, etc. were all handmade delicious dishes on that day. Fresh vegetables and meat, and Caspian Sea yogurt are private cultivation. * Frozen food is not used. It is any one article, simmered dishes, a small bowl, pickles and soup Caspian Sea yogurt, jam, or honey of beef muscular stew / pork cutlet / bird southern barbarian at a daily basis. I ask a telephone of an inn from a trailhead. When canceled, I need your help even during the On-the-day morning at the latest.Cancellation of an On-the-day afternoon requires 3000 yen cancellation charge. Neither a shampoo nor soap can be used. Head-lamp-bring with you at the 10 time of putting out lights. There is no offer of amenity etc.A washing implement becomes a charge. There is no offer of a yukata and a bath towel. When arrival becomes slow, I ask connection of an inn. There is no installation of a public telephone. Utility time of a bath : you can use the whom who of stopping till 7:00 of a morning, and can use the whom who of a tent to 21:30 night. 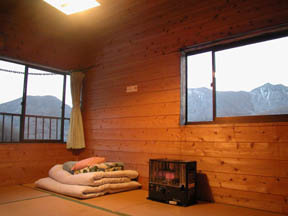 Tent site fee: One person of 300 yen and a bath are 500 yen.It OKs any number of times to 21:30 night. a credit card -- you can use. The public parking of a trailhead is no charge. Breakfast is henceforth (based on a group) at the 6:30 time. Change in a box lunch is possible. 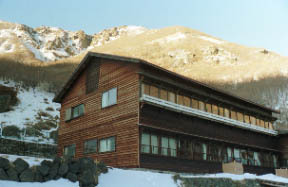 Reservation reception-office start: As for 3 / 1 # September~November, in a # April~August, 7 / 1 # December~March is 9/1. 3/1 of tentative reservation: Even if tentative reservation is carried out at midnight, fax in an office serves as a start at 7:00, and a telephone is started around 8:00. An ambulance wears in about 20 minutes in nothing and an emergency. They are those with public free parking, and on foot about 2 hours from there to a Choujyabaru.